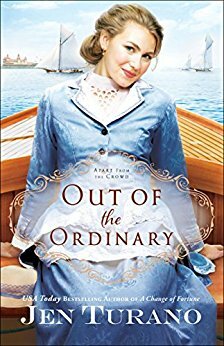 Out of the Ordinary is a Gilded Age romance unlike any other! Humor and wit abound as the charming cast of characters, with their eccentricities and their antics, dance across the page. Delightfully entertaining from beginning to end, I relished the charming blend of mystery and romance in Gertrude’s and Harrison’s story. While Out of the Ordinary is lighthearted fare, it also delivers a heartfelt message. I love Turano’s tales and can’t wait for more!